Choose an appointment type below to get started. ***Important*** If you will be redeeming a gift certificate, please call us at (256) 975-5852 to book your appointment. If you do not see a date and time that works well for you, please call or send us a text message. We often have a lot of flexibility in our schedules and may be able to accommodate you at a time/date that is not listed. We occasionally will have same-day appointments available that may not appear online. Feel free to call or text us about those. Please note, as soon as you make an appointment using Acuity, you will get an email confirmation. Additionally, two days before your appointment you will receive an email reminder. If you don't receive these emails it means there's a problem. Contact us if that ever happens. Light to medium depth pressure and techniques are used for a customized session aimed for your utmost comfort and relaxation. This session is based on Swedish-style massage. This is our most popular offering. An integrative session ranging from medium to deep pressure; trigger point work may be used. In this massage, the focus is on the deepest layers of muscle tissue, tendons, fascia and on harder-to-find spots like muscle insertions and attachments. Injured areas may receive manual therapy in which quasi-static pressure is applied to soft tissue to stimulate release of trigger points that refer pain elsewhere in the body. At times this treatment may feel very intense. Getting its name from the Japanese words "Ashi" (foot) and "Atsu" (pressure), Ashiatsu is the western version of an ancient type of Asian bodywork that is done with the feet. In Ashiatsu, the massage therapist uses bare feet to apply deep, broad compression and effleurage strokes to the client. The work can be very deep without feeling "pointy". The therapist uses bars on the ceiling to balance. It is performed on a standard massage table on bare skin with cream or oil. Manual lymphatic drainage (MLD) is a profoundly relaxing massage technique that stimulates the body’s lymph circulatory system. Using a variety of gentle, repetitive movements over the skin, it encourages the flow of lymphatic fluid along lymphatic vessels. MLD can be used for general relaxation, and to help people with a variety of conditions to include lymphedema, fibromyalgia, chronic fatigue syndrome, edema from surgery or traumatic injury, arthritis, migraines, scarring, and more. PLEASE CALL 256.975.5852 TO BOOK A COUPLES MASSAGE. THIS CANNOT BE SUCCESSFULLY BOOKED ONLINE. A deposit of 50% of the cost of the session will be required at the time of booking. 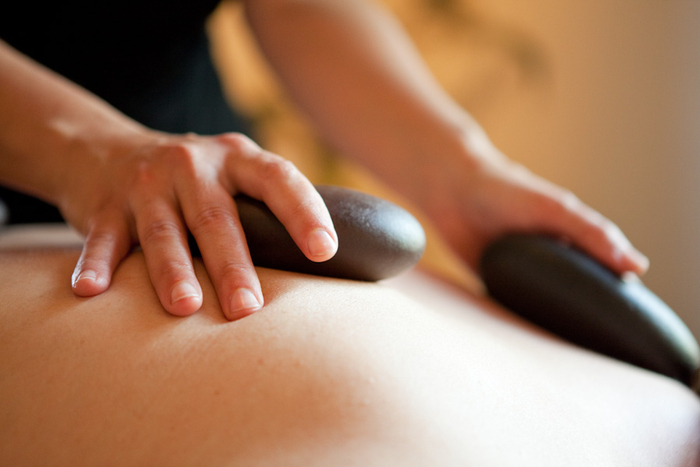 Relax and enjoy a massage for two, featuring two tables and two therapists performing individualized massages. A form of Swedish massage specifically designed to meet the needs of the mother-to-be. Special techniques are used to relieve pain and stress as well as reduce swelling in the legs, ankles and feet.Some massage therapists will only work on pregnant women once they are beyond the first trimester. Unless the pregnancy is considered high-risk or there is a history of miscarriage, experts agree that this precaution is completely unnecessary--massage is safe throughout the entire pregnancy. It's not called labor for nothing! Having a baby is hard work physically, mentally and emotionally. Women do not completely recover for up to a year. Postnatal massage keeps the specific needs of a mother in mind. The benefits include the release of endorphins to combat baby blues, an increase in milk supply, decrease scarring after cesarean section and relief for your muscles. Oncology massage is the modification of existing massage therapy techniques in order to safely work with complications of cancer and cancer treatment. Anyone who has ever received cancer treatment, from those in active treatment to those in recovery or survivorship, as well as those at the end of life, are best served by a massage therapist who has received advanced training in oncology massage. 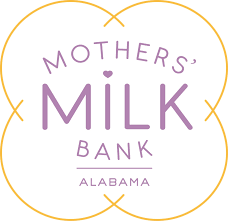 Screened Donors with a donor ID number can drop off their milk bank donations. Click on the "Connections Depot Deposit" option to find a time that is convenient for you. Go to connectionsbreastfeeding.com for more information. If this is your first time registering, please contact Elizabeth Dunaway at (256) 541-7243 so she can give you the credit card information that you will need to make this appointment.